The challenge of dividing an asset fairly, from cakes to more important properties, is of great practical importance in many situations. Since the famous Polish school of mathematicians (Steinhaus, Banach, and Knaster) introduced and described algorithms for the fair division problem in the 1940s, the concept has been widely popularized. This book gathers into one readable and inclusive source a comprehensive discussion of the state of the art in cake-cutting problems for both the novice and the professional. 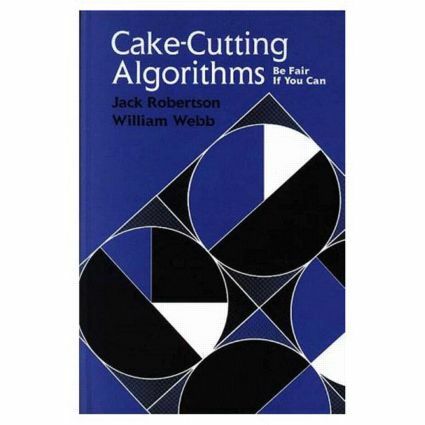 It offers a complete treatment of all cake-cutting algorithms under all the considered definitions of "fair" and presents them in a coherent, reader-friendly manner. Robertson and Webb have brought this elegant problem to life for both the bright high school student and the professional researcher.